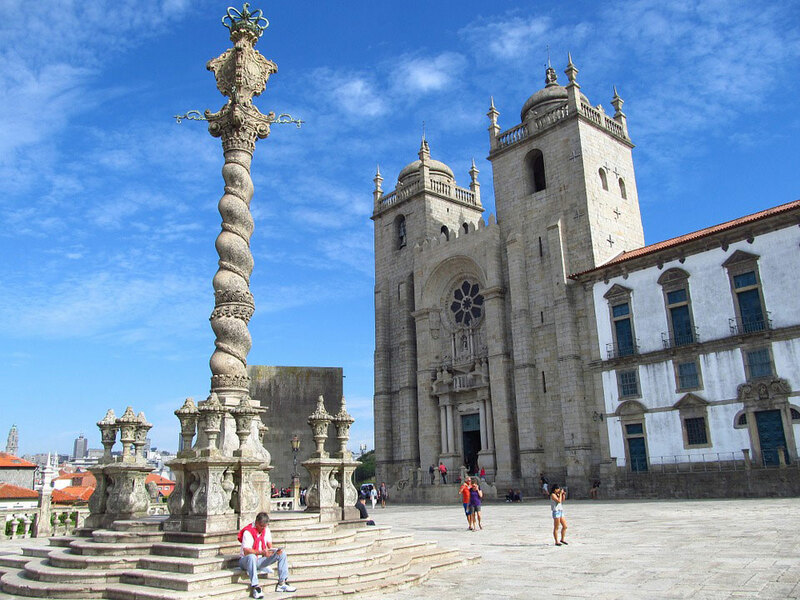 Join Froggy Travel for a guided Portugal Tour. Discover Medieval Villages, Castles, History, Food, Fado and Port Wines. 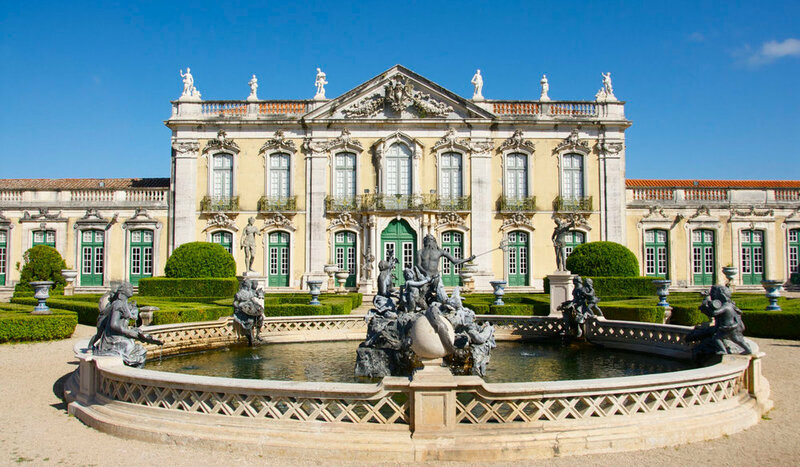 Join Froggytravel for a guided Portugal Tour. Highlights of this special Portugal Tour include visits to the cities of Lisbon, Porto, Sintra, UNESCO World Heritage sites. Rates are per person land only - Hotel accommodations double occupancy - Meals as described on itinerary (wines/beverages included) - All group visits and tasting fees - All taxes and service. Landing in the morning in PORTO, we will have time to make our first acquaintance with this lively town before our Portugal Tour begins. After a light lunch and perhaps a refreshing nap at your hotel, the superb Hotel Pestana Vintage, located on the Douro river banks, your home for two nights we will walk to the famous bookstore Lello, said to have inspired Harry Potter’s author, JK Rowling, while she was teaching English in town; probably the only one in the world asking an entrance fee! 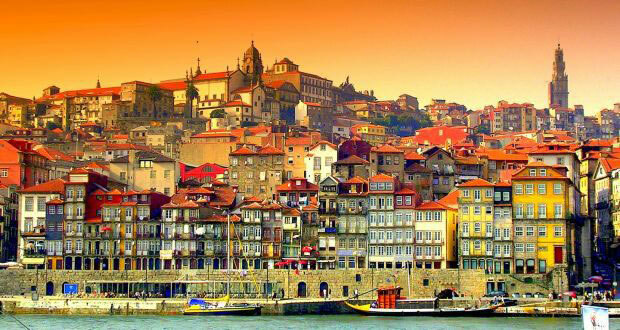 Located along the Douro river estuary, Porto is the second largest city in Portugal is one of Europe’s oldest; UNESCO proclaimed its historical core a World Heritage Site. Before our first convivial dinner facing the River, nothing better to experience this town than a boat ride aboard a traditional “Rabelo” used to transport Port wine barrels. Group dinner and night in Porto. A full day to discover Porto. A guide will hep us discover the most famous Porto’s landmarks, Church of São Francisco, Casa do Infante, Palácio da Bolsa (stock exchange) and Porto Cathedral. All this before crossing the Douro River to Vila Nova de Gaia where all major Port producers are located: Sandeman, Graham, Taylor, Cruz, Croft Calem, Ferreira and many more. Lunch at the Grahams’s Port house for a lovely lunch and a wonderful tasting of some of the best Port from this famous winery. Second night at the Pestana Vintage. After our last morning in Porto, we will drive along the Douro River for the spectacular countryside and the famous vineyards. The road N222 between Pinhão and Régua was voted the World’s Best Drive in 2015! 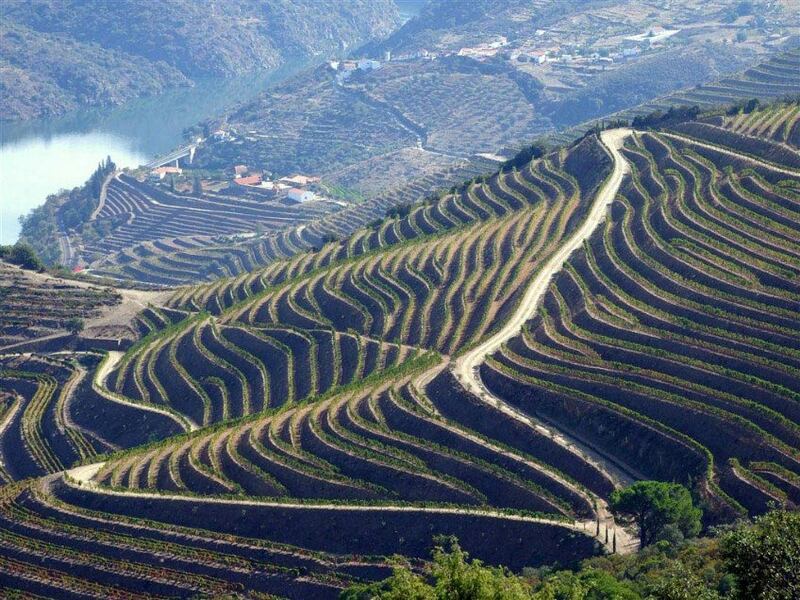 A UNESCO site since 2001 the Douro valley will offer many reasons to stop, among them the small wine-producing villages such as Salzedas, Barcos or Provosende. Dinner and night at our hotel, the Casa da Calcada a Relais et Chateaux hotel wonderfully located, facing the old town of Amarante and the Tamega River. A full day in the Rio Tamega and Rio Douro region. We will match the themes by alternating Cistercian abbeys, vineyards, viewpoints and monuments in the different wine regions of the valley, Baixa Corgo, Cima Corgo and Douro Superior. Tasting at the old port producer Quinta das Lamelas. Back to the Casa da Calcada, dinner in Amarante. 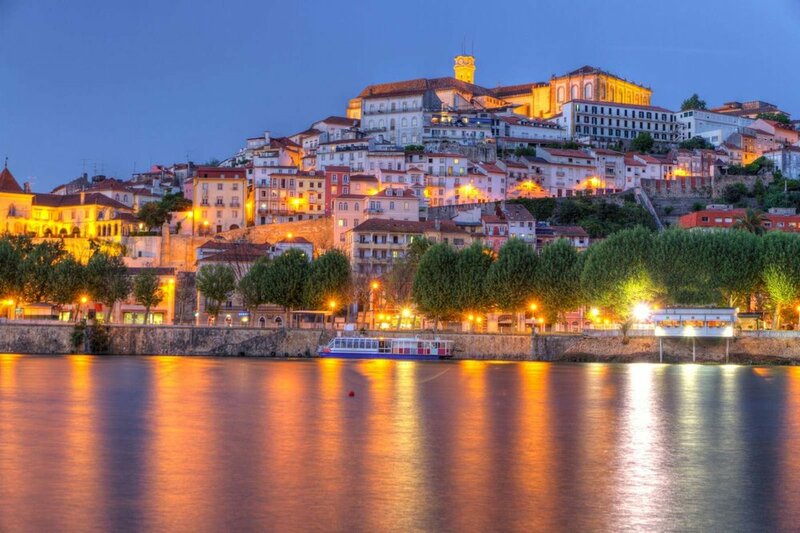 Early morning departure to Coimbra, a riverfront city in central Portugal and the country’s former capital. 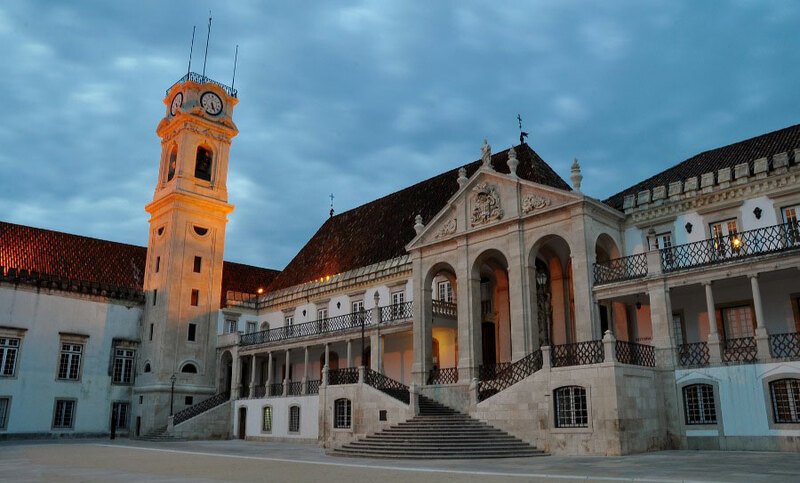 Home to a preserved medieval town and the historic University of Coimbra, founded in 1290 it is one of the oldest universities in Europe. A visit to the the Joanina Library is on our list of things to see in this town, its construction began in 1717, and it is the most famous and beautiful Portuguese library, due to its unique style. You will find more than 60 thousand volumes, dating from the 12th century until the 18th century. French Master Robert designed The Sé Velha Cathedral in the 12th-century. Its central gateway has an evident Islamic influence, while the side door shows an elegant Renaissance style. If time permits we will end with a tour of the Santa Cruz Church and Monastery before taking a break in the magnificent Café Santa Cruz open since 1923, located in the old church. Afternoon drive to Lisbon with a stop by the famous pilgrimage town of Fatima. Dinner and night in the Portuguese capital your home for three nights. 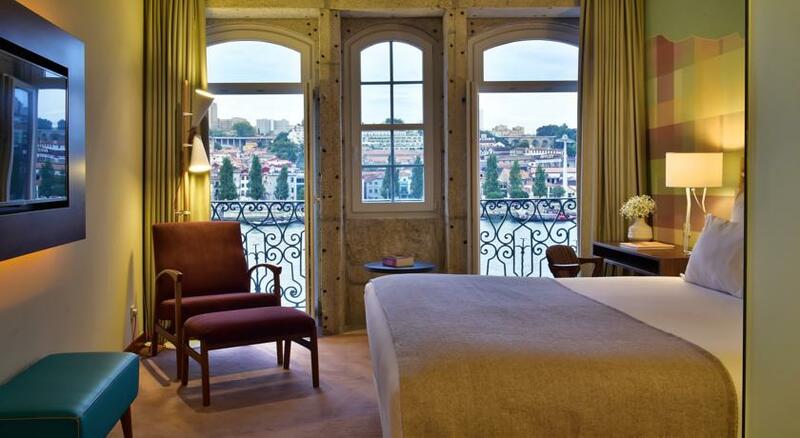 Our hotel is the superb Corpo Santo, a 5* property in the heart of Portugal's capital. 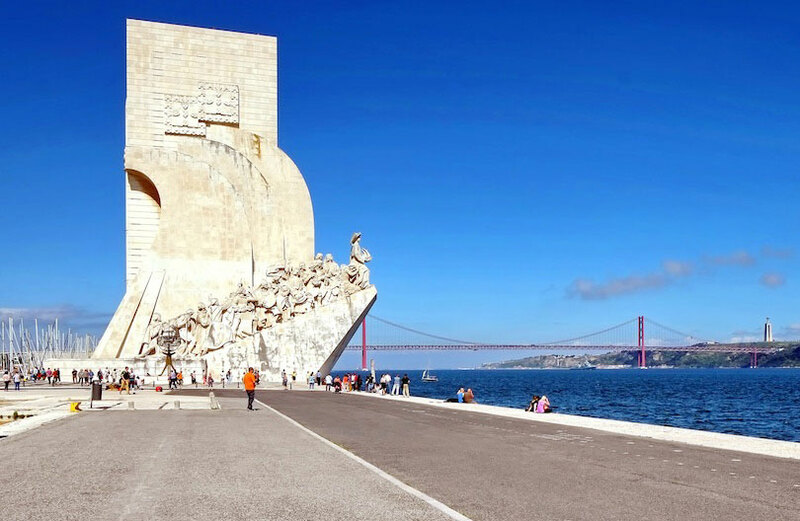 Lunch and afternoon are reserved for Belém waterfront, a historic neighborhood that houses some of Lisbon’s most important monuments, museums and one favorite Portuguese pastry place, the Pasteis de Belém. Jerónimos Monastery, the Belém Tower, the Discoveries Monument, the Belém Palace (the official residence of Portugal’s president), the Coleção Berardo Museum as well as some picturesque gardens. Belém was a favorite departure point during the Age of Discoveries. Some notable adventurers that have embarked from Belém include Vasco da Gama and Ferdinand Magellan. What looks to be an idyllic mini castle seamlessly floating on the Tejo riverfront was initially a fort that served to protect Lisbon’s port in the 16th-century, serving as a departure point for explorers. Before dinner, we will enjoy a drink in a bar and listen to Fado, famously sad but the soul of Portuguese music. 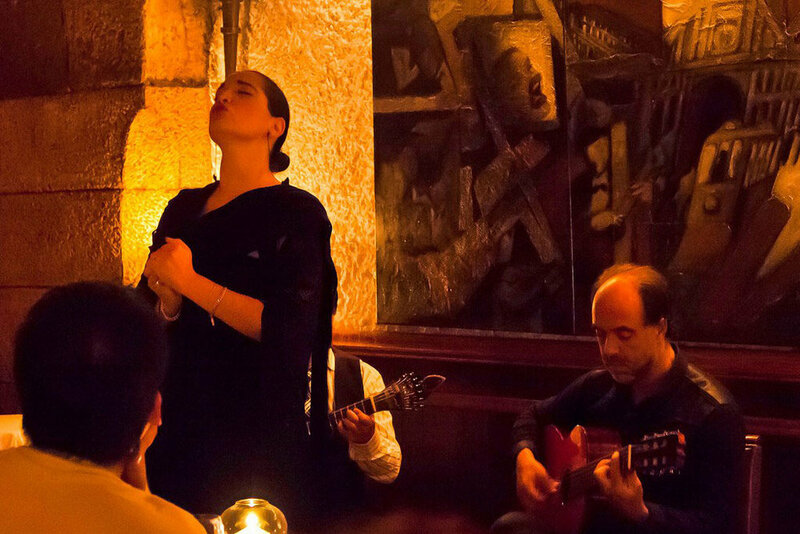 Originated in the 1820’s in Portugal, Fado is known for how expressive it is, as well as being profoundly melancholic. Convivial group dinner and the second night at the Corpo Santo. Located about 20 miles northwest of central Lisbon, Sintra’s praises were sung in the literature by the likes of British poet Lord Byron and Portuguese poet Luis Vaz de Camões. Byron described it as a “glorious Eden”. A veritable heaven on earth, the small city’s rolling hills clad with vibrant vegetation and fairytale-like villas separated by cobblestone streets. The star of the show is the colorful Palácio Nacional de Pena, which was built to be a romantic getaway for Queen Maria II and her husband. 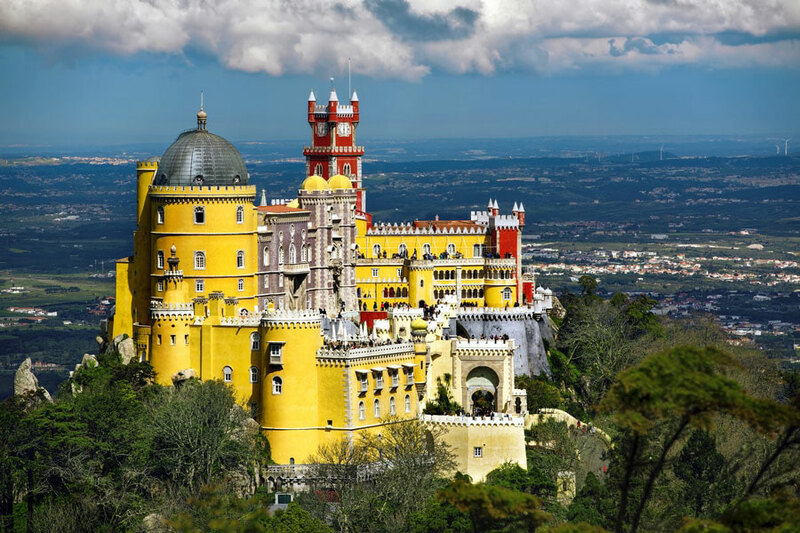 There’s also the Palacio Nacional de Sintra, whose azulejo-adorned interiors make up for its bland exteriors, the Monserrate Palace, the Castle of the Moors, and the Quinta da Regaleira. What’s more, the entire city is designated as a UNESCO World Heritage site. Lunch in Sintra. Back in Lisbon, you will spend the evening at your leisure in the district Bairro Alto a very lively part of town. Do as the locals do, order a glass and food to enjoy outside. Last night at the Corpo Santo. You will depart for the US and arrive the same day with wonderful memories of this special Portugal Tour. Froggy Travel services end at the airport. Rates are per person in $US DOLLARS, land only, hotel accommodations sharing a double room, daily breakfast, meals as described in the itinerary (with wines and beverages), visits fees, guides, transfers, all taxes and service charges.